I have the Light deck, which I got as a gift for someone - they were very pleased with it. It's one of the more customized decks I've seen. 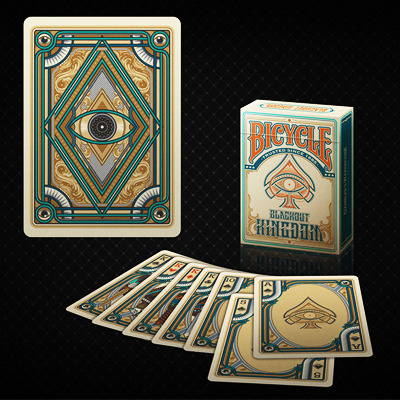 The card back has a strong diamond shape with a large eye in the center. The faces are very very customized, and look very different from a traditional deck, with a very distinct style. It's probably not ideal for playing card games since the indices aren't super clear or practical. But it's a very attractive deck for the collector who appreciates this style, or for cardistry. The Bicycle brand ensures quality of handling, so no problems there.